Oklahoma City NewsChannel 4 traveled to Dallas, Texas, to speak with Dr. William Rea, one of the foremost experts in the country for Electromagnetic Hypersensitivity (EHS). “I think it’s the coming disaster of the 21st century,” Dr. Rea says. 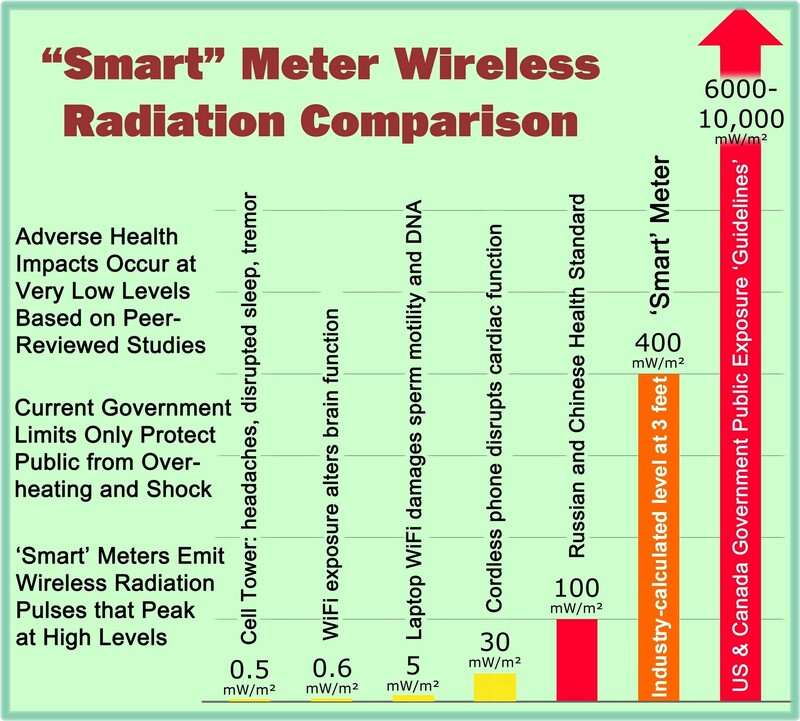 “If you have problems with things like the smart meter, you may be getting the wrong impulses, … electrical impulses that come into the body and cause disruption of that synchronous movement that you are supposed to have from electrical impulse[s],” Dr. Rea explains. He says our cells are protected by membranes which have characteristics that are electromagnetic in nature. The membranes allow crucial materials like calcium, sodium, and potassium to pass through. Dr. Rea believes the radiofrequency emissions from various devices, like smart meters, interrupts this process and causes health problems. Oklahoma City NewsChannel 4 actually did a series of recent reports dealing with smart meters over the period of July 23 to 24, 2013. To see all three videos, refer to the link below. The second video on this web page features Dr. William Rea. William J. Rea, M.D. is a thoracic, cardiovascular and general surgeon with an added interest in the environmental aspects of health and disease. Founder of the Environmental Health Center – Dallas (EHC-D) in 1974, Dr. Rea is currently director of this highly specialized Dallas-based medical facility. Dr. Rea was awarded the Jonathan Forman Gold Medal Award in 1987 for outstanding research in environmental medicine, The Herbert J. Rinkle Award in 1993 for outstanding teaching, and the 1998 Service Award, all by the American Academy of Environmental Medicine. He is a past president of the American Academy of Environmental Medicine and the Pan American Allergy Society. He has also served on the Science Advisory Board for the U.S. Environmental Protection Agency. Dr. Rea is a fellow of the American College of Surgeons, the American Academy of Environmental Medicine, and the Royal Society of Medicine. This entry was posted in Smart Grid, Smart Meters, and RF Emissions and tagged Dr. Rea, EHS, Smart Meters. Bookmark the permalink. Dr Rea is my hero. He is the only medical doctor with the skill and knowledge to heal you when you have been damaged by toxins and the environment.